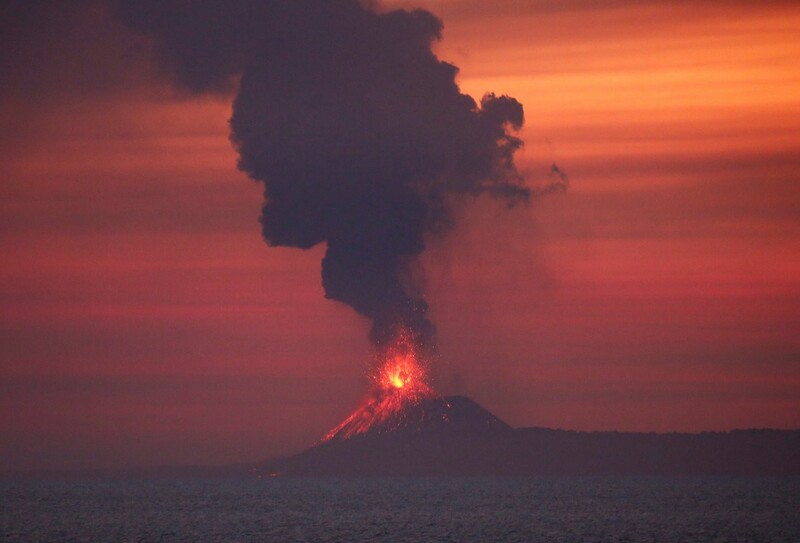 Mount Anak Krakatau (Child of Krakatau) in the Sunda Strait, South Lampung regency, Lampung, erupted over 44 times over the weekend, the Meteorology, Climatology and Geophysics Agency (BMKG) has reported. Tourists and the public are advised to steer clear of the volcano and its surrounding areas. The agency, which quoted an officer at the Mount Anak Krakatau monitoring post, Deny Mardiono, reported that the volcano had erupted 44 times since Friday, with thick smoke billowing from the volcano’s crater at a height of 200 meters from the crater's peak. The monitoring post also reported sounds of thunder and weak tremors that accompanied the eruptions.